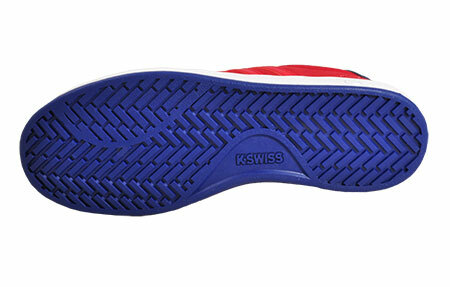 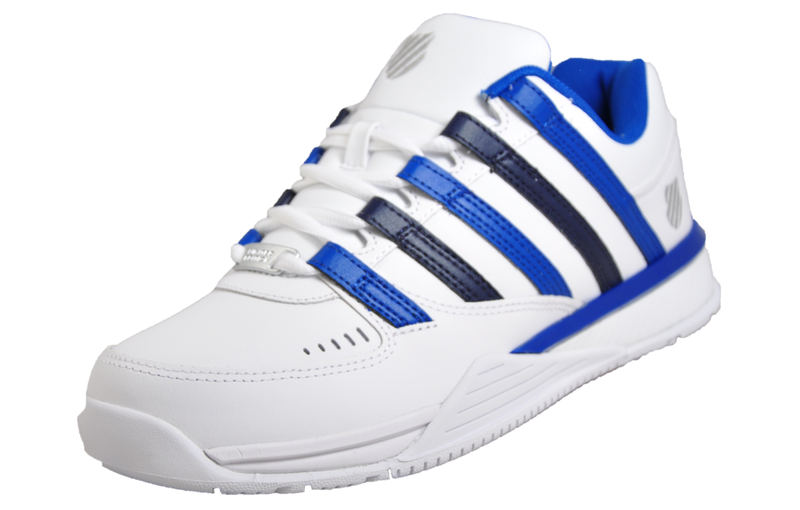 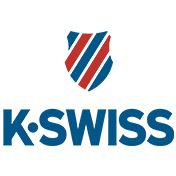 The K Swiss Hoke features a Memory Foam insole which helps maximise everyday comfort by contouring and moulding to your foot for pressure relief and fatigue free wear that feels fantastic all-day long. 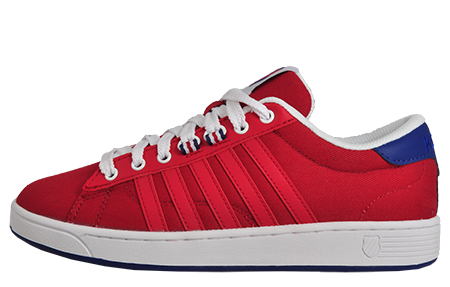 This iconic court-inspired design is delivered in a on trend red colourway making this shoe a stylish choice for any occasion. 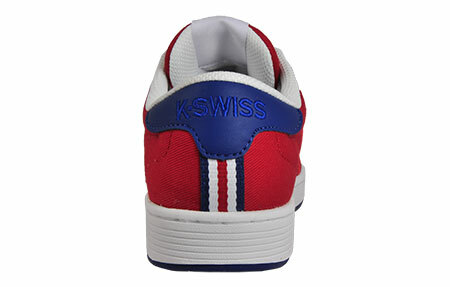 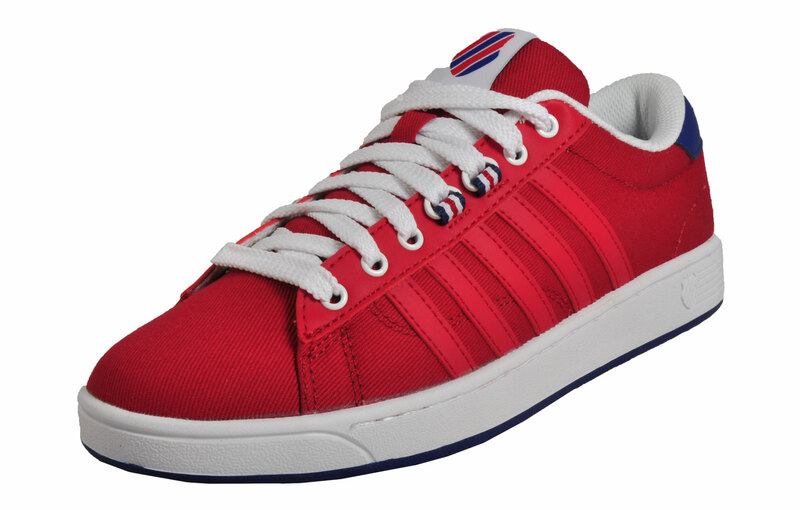 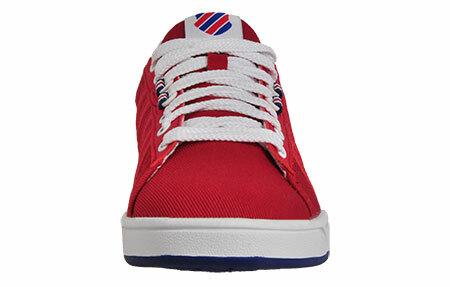 These K Swiss red mens trainers are guaranteed to become your favourites among your footwear collection for on point style with clean classic looks.